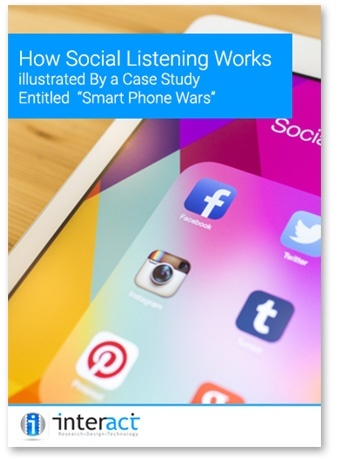 Illustrated By a Case Study Entitled "Smartphone Wars"
The need to better understand your customers within the Social Media space is ever growing. Most Social Media tools typically offer an analytical (quantitative) view of your customers but what happens when you want to look past the number of likes, visits or reach? This is where Social Listening comes in, it gives you the ability to see a qualitative view of your customers, extracting deeper insights into their sentiment towards your brand. Get the full picture behind customer generated feedback. Access organic, unfiltered, perception driven opinions. Quickly identify themes and patterns amongst your customers.